Before I turn to examples, a few words about the current understanding of the Genesis narrative are in order. It does not read like a regular story, from head to tail, instead adopting the symmetrical pattern of chiastic structures. It begins with a theological statement (1:1) and ends with another theological statement (2:1–3), in between which it marshals two groups of three “days” each, mirroring one another. The structure is therefore cruciform, the vertical of the two theological statements crossing the horizontal of the parallel “days.” Between the theological opening and closing statements, the “days of creation” should not be read from 1 to 6 in succession, but in cross-section, from 1 to 4, from 2 to 5, and from 3 to 6. Items 1, 2, and 3 refer to cosmic regions, whereas items 4, 5, and 6 refer to beings that populate the regions. This symmetry continues with the amount of divine blessings to which the “days” refer—one blessing each for items 1, 2, 4, and 5, and two blessings each for items 3 and 6. This arrangement suggests God’s wisdom who so wished to create an ordered universe, sky and earth, in which to rejoice. The narrative of creation can hardly be taken as a scientific report. Even though the early Christian theologians were largely unaware of this symmetrical structure, they arrived at similar conclusions by taking different avenues. Below are several examples. In tune with the New Testament authors who gathered that the narrative of creation in Genesis was about Christ, the origin, common denominator, and creator of all things (Colossians 1:15–17; John 1:1–3), the Nicene Creed summarizes the scriptural chapter by pointing out that all things visible and invisible are created by the Father through the Son, and that the Spirit gives life to everything. These traditional witnesses share the view that Genesis conveys a theological message concerning the creator, not the technology of creation. In the same vein, Clement the Alexandrian stated that “the [Christian] discourse on nature begins with the exposition on cosmogony to then ascend to the theological perspective” (Stromateis 4.1.3.2). This is to say that ecclesial tradition takes the narrative of creation as a key to decipher created reality as a pointer to God. Rather than giving a rigorous description of the universe, Genesis talks about God as origin of everything. Clement’s one-time disciple, Origen, followed the same approach. According to him, the first line of Genesis, “In the beginning, God made heaven and earth,” is not about the time when the creation was made; it is about the origin of the creation. In his words, “What is the beginning of all things if not our Lord and Saviour of all, Jesus Christ, born first of the entire creation?” (Homilies on Genesis 1.1). Explicitly surmising his position from such New Testament parallels as those in Colossians and John, earlier mentioned, he concluded that “in the beginning” of Genesis refers to the creator. Again in his words, “Scripture is not speaking here of any temporal beginning, but it says that the heaven and the earth and all things which are made were made ‘In the beginning,’ namely, in the Saviour” (Homilies on Genesis 1.1). His interpretation is consistent with the great Alexandrian tradition for which, as the last of its representatives, Cyril, had it, Christ is the gem hidden in the prose of the Old Testament (see Glaphyra 1 on Genesis, prolog). But the puzzlement over Origen’s theological, or rather christological elucidation of Genesis does not end here. After grappling with this mystical incipit, the reader of the homily slides through the rabbit hole of the “days of creation” towards the wonderland of the spiritual journey and one’s sabbath in God. Everything in this homily is about Genesis as a handbook of theology and spirituality, making no allowance for the supposed biblical “science” of creation. 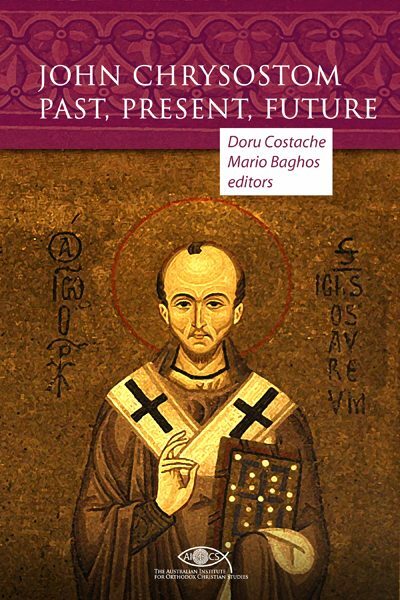 This conclusion is even clearer in Origen’s distant disciple, Basil the Great, who believed that Genesis was not a complete report on what the universe was or on how it was made. The narrative “passed over in silence [the making of] many things, such as water, air, and fire, out of which [created beings] are produced.” In turn, Genesis entices “our mind to exercise its skills by inferring the rest from little pointers” (Hexaemeron 2.3). Basil referred to the physics of his time, specifically fundamental elements such as water and fire, but his lesson remains widely applicable. Genesis could not replace the available sciences. It is a schematic story whose blanks the mind must heuristically fill by the available scientific data. Furthermore, Basil believed that Genesis is not even about the beginning of the creation. For him, prophetically, the phrase “In the beginning God made” anticipated “the world’s consummation and transformation” (Hexaemeron 1.3). So understood as prophecy, the opening theological statement of Genesis does not refer to past events. Instead, in a veiled manner it points to the eschatological state or the consummation of the creation. And here dissipates the creationist myth that Genesis holds the scientific key to the universe’s past. The creationist view that the narrative of creation in Genesis literally presents the perfect description of the universe is wishful thinking. In the light of the patristic evidence discussed above, Genesis does not offer a scientific report. It contributes a theological narrative about the divine origin and future of creation. It proclaims God and the eschatological glory of the universe, not a scientific cosmology. Should one be interested in a natural description of the universe, one should read contemporary science, not theological narratives. I wonder, in the end, why contemporary Orthodox would trade the richness of patristic tradition for the trifles of creationism. 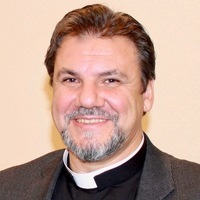 Protopresbyter Dr Doru Costache is Senior Lecturer at St Cyril’s Coptic Orthodox Theological College with the Sydney College of Divinity and Honorary Associate of Department of Studies in Religion, the University of Sydney, Australia. Originally published on Public Orthodoxy, 4 December 2018.